The annual Royal Naval Air Station (RNAS) Yeovilton International Air Day in Somerset will take place on Saturday 13 July 2019. Up to 40,000 visitors are expected to visit the Royal Navys premier public event at the spiritual home of the Fleet Air Arm. 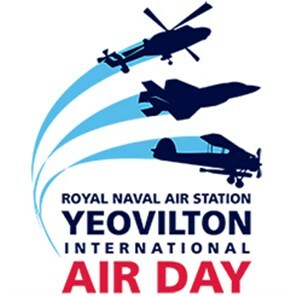 RNAS Yeovilton International Air Day will demonstrate the Maritime Capability and Air Power not only from the Royal Navy but also our sister services  the British Army and the Royal Air Force in their centenary year  and our NATO and European allies. Our aim is to display, either flying or static, the worlds most capable pilots and their aircraft. It is a fantastic opportunity to see some outstanding equipment and meet our professional personnel in a family-friendly environment. RNAS Yeovilton International Air Day is delighted to announce the participation of two aircraft types from debuting nation Lithuania. The Baltic states air force will send an Aero L-39 Albatros jet trainer and a Mil Mi-8T utility helicopter for static display. Rarely seen at Western European events, they get Air Days international line-up off to the very best of starts. The L-39 Albatros was a real success for Czech firm Aero Vodochody. During a 25-year production run, 2,900 were built and supplied to almost 50 militaries. * Prices shown on Screen Include Entry Tickets - Adult 16+, Child Fare 5-15, except coach only.